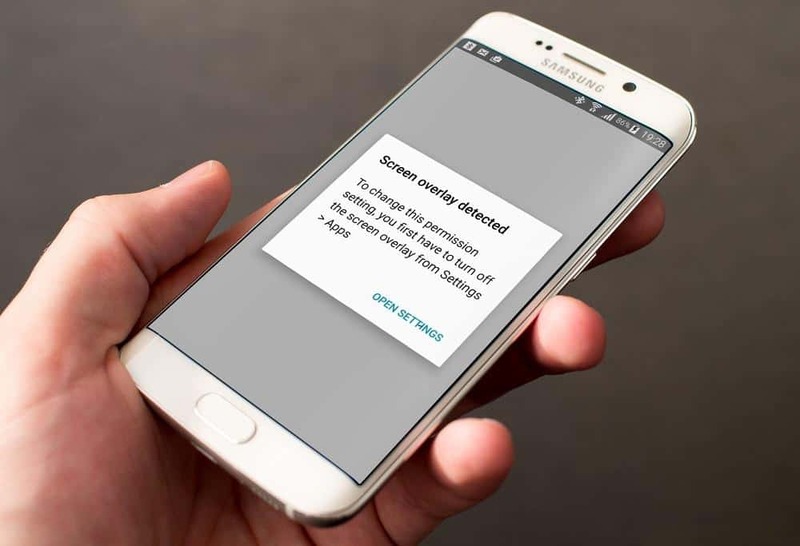 Screen Overlay Detected is one the frequently occurring errors in most of the Android smartphones. Our team, we have been working on getting a solution to in fixing Screen Overlay Detected Error and guess what? we actually found a solution and here in this article, we will be teaching you How to Fix Screen Overlay Detected Error in Android. Reason for Screen Overlay Detected Error? We currently have 3 working methods to fix screen overlay detected error for Android smartphones. Firstly, I tell you why your android smartphone gets this error. Majority of the time this error takes place only in Android Marshmallow and Nougat version because of their unique function that is “Draw over other apps“ which allows users such as you some apps to “draw” over other apps. Which basically means the app can show info on top of other apps. For example, Whatsapp uses this feature for their chat heads to be shown over other apps. Now when you install a new app from the play store, your android smartphone will show the pop-up “Screen Overlay Detected“. That’s because some apps which “Draw over other apps” permission enabled is running in background or foreground. This is actually a security measure from android to stop some third party apps you may have mistakenly installed from any sources other than Play Store, from taking advantage of the default Android settings. 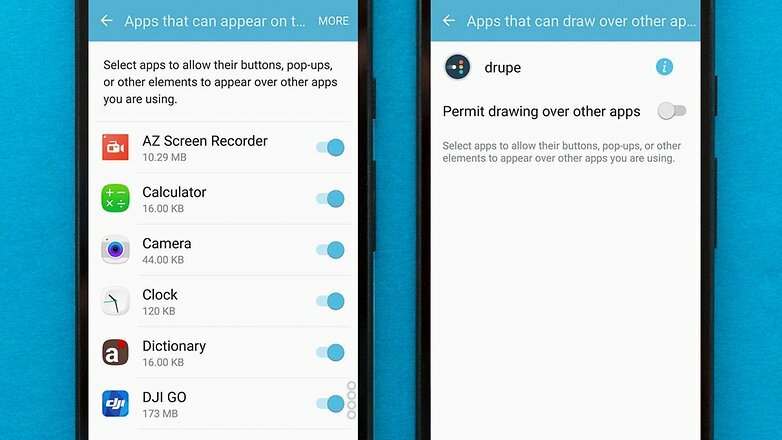 These apps may (or can) do unwanted things when the overlay is running and asking for permissions. Android is not going to allow this, so the Screen Overlay Detected error pop up will be shown. So this is just a normal error and there is nothing to worry about it. Firstly to stop this screen overlay detected error is to exit the apps that are having Screen Overlay or floating windows. These applications have screen overlay function enabled by default. The application with the functions is Facebook Messenger, Twilight, Lux, Internet Speed Meter, Clean Master, Whatsapp etc. Finally, If you’re having any of these apps and they’re running (like Messenger chat head, Twilight filterInternet Speed Meter, Clean Master, Whatsapp, etc), a simple fix would be to exit the app before installing any new app or after it asks to disable Screen Overlay. Firstly, find which applications have permission to draw over the screen. If you see an application bubble on your screen, then that application is the major cause for this error and you need to find and disable it to get rid of the error. Clean Master is one the application that causes this problem, without double thinking you need to disable the application or uninstall the application from your android smartphone. Now you can try launching the app again, and it should request permissions without the “Display overlay detected” error getting in the way. Finally, in order to the applications to work, you need to re-enable its overlay permissions. If you turned off all apps, it might be worth considering only reactivating those apps that you actually use. This is a final and working method to fix screen overlay detected error in android devices. Try this method is the above two methods doesn’t work. Firstly, Take a note of the applications that is showing you the error. Now, press the power button of your phone. Press and hold the “Power Off” option on the pop up now. After holding it for 4-5 seconds, one more pop up will come, asking you to enable “Safe Mode”. Click “OK”, the device will reboot in Safe Mode. Now, when your phone has turned on, go to Settings, and then to “Apps”. Here, scroll down and find the app you were having the screen overlay problem, click on it. On the app page, click on “Permissions”. And on the Permissions page, enable all the permissions the app was asking previously. After this is done, reboot the phone. That’s it, These are the 100% working method to fix Screen Overlay Detected Error in android devices. After following these methods and still if you get the error you need to your Android device to be taken to the respective service centers. If any of your friends are facing these error share the article with them.